Many people are unaware of what long term care really is. It doesn’t just include nursing homes or elderly patients. Long term care provides care for those with medical or even non-medical needs due to disability or chronic illnesses causing them to be unable to care for themselves. Our doctors and nurse practitioners work throughout Michigan providing the highest quality support services to Long Term Care facilities. As our loved ones get older we tend to ask ourselves “if something happens, how am I going to find the time to take care of them?” There are many who are fortunate to be able to provide that necessary long term care to family members in need. Unfortunately there are those of us who would be unable to provide the attention and care needed, and would need to find help from a Long Term Care facility. The Millennium Medical Group understands that there are those of us who just don’t have the time, but want to make sure your loved ones get the best long term care possible. This is why they established Long Term Care of Michigan providing Nursing Support Services providing qualified doctors, nurses and physician assistants to facilities throughout lower Michigan. You can feel at ease knowing your family is in good hands. 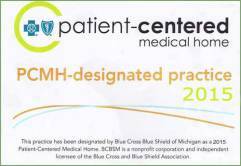 To find Long Term Care of Michigan Nurse Practitioners and Doctors please contact 734.728.2130.